Hey guys! 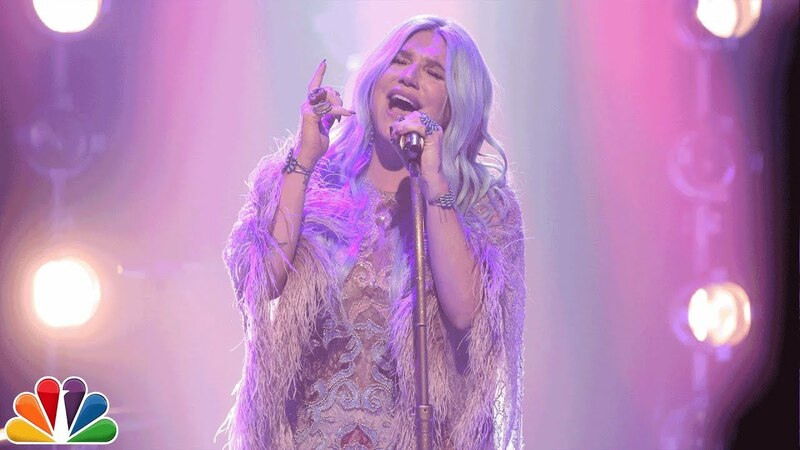 Kesha's new album, Rainbow, is out now and she stopped by The Tonight Show Starring Jimmy Fallon to perform the lead single Praying. I am happy she's back! Check out the powerful performance below! Yesterday she premiered the visuals for the title track, Rainbow, and you can watch it here! I'm loving this album guys. It has already spawned the tracks Hymn, Learn to Let Go, Praying and Woman.